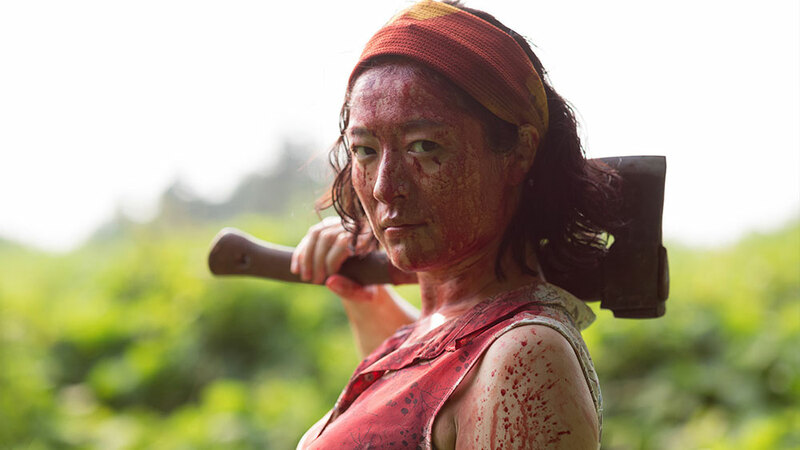 Japanese zombie comedy ONE CUT OF THE DEAD made its Canadian premier at the Fantasia International Film Festival, and it’s much more than meets the eye. ONE CUT OF THE DEAD, from writer/director Shinichiro Ueda, has an intriguing idea: a zombie film done in a single, uncut take, much like Hitchcock’s ROPE. The one uncut take is a film concept that can quickly grow tiresome. Luckily, Shinichiro Ueda has more up his sleeve, and a patient audience will be greatly awarded. “Don’t stop shooting!” is the mantra of Higurashi (Hamatsu Takayumi), the director of the zombie movie being made in ONE CUT OF THE DEAD. Filming his one-take zombie film inside a long-abandoned factory with a curse on the land, the cast and crew soon find that real zombies have risen to cause death and mayhem to the entire crew. As the body fluids and limbs fly, and Higurashi sacrifices everything and everyone to get his film completed, the credits roll and the entire movie starts again from an entirely different point-of-view (POV). The second act of the movie is about the making of the one-take zombie film. It is also a father-daughter bonding story, a story of a high maintenance star actor, and the director’s wife/former actress Nao (Harumi Shuhama) who is pulled into emergency acting duty. The crew soon finds that she takes her method-acting much too seriously, but Nao is one of the outstanding and funniest characters in the movie. Just try not to gleefully yell “POM!” at friends after watching ONE CUT OF THE DEAD. Incredibly, when the credits roll once more, the movie restarts from yet another POV to give audiences three different versions of the same movie. 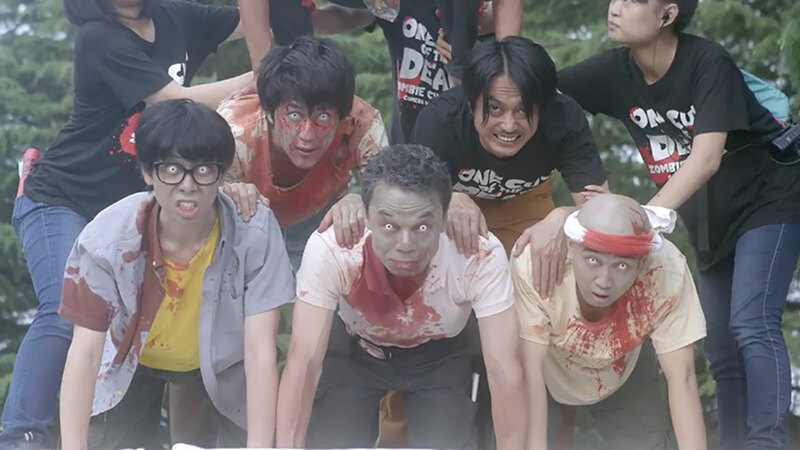 ONE CUT OF THE DEAD never takes itself too seriously but it is an incredibly smart, inventive, and fun zombie comedy. I found myself laughing more often during ONE CUT OF THE DEAD than I have during more recent traditional comedies. 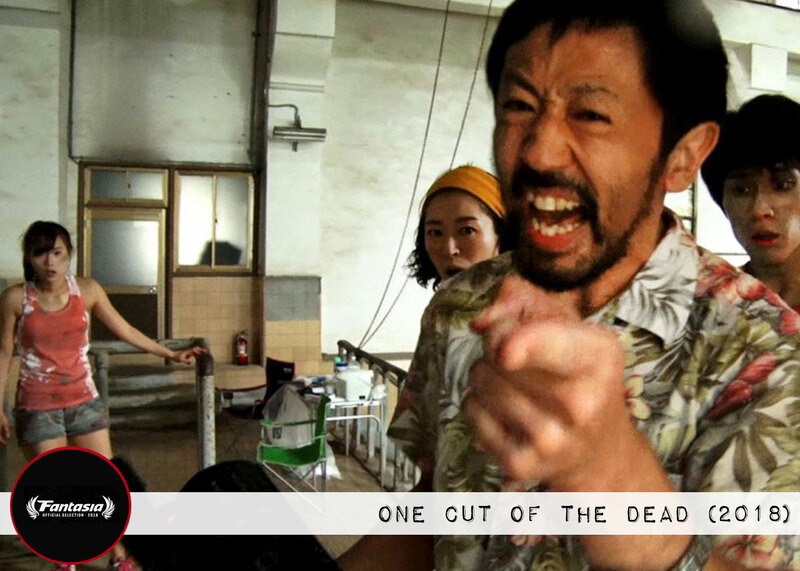 If you find yourself needing a breather from the grimdark world of The Walking Dead, treat yourself to Shinichiro Ueda’s ONE CUT OF THE DEAD — the funniest and best zombie comedy since SHAUN OF THE DEAD.